The floor looks so clear, its reflecting bookshelf and candle very well. @ KazablanKa she not sad, she only bored that Kujo didn't came yet to give her clues for solving the case. 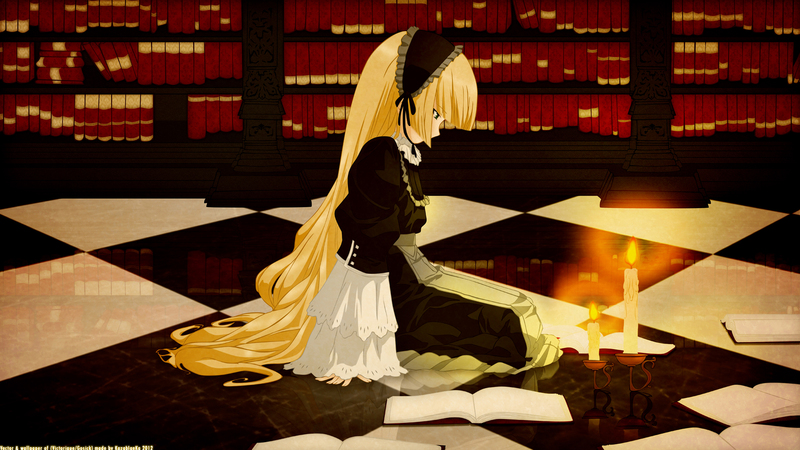 Victorique-chan is so cute! :3 For your first wall, it's very good. I like the background with the bookcase and the reflection on the floor. Your vector style reminds me a vector technique of a one MT member, it just has...too much red/ orange hue. but It never mind, when it isn't use too much :) good job and keep it up! I like what you did on the background...and like the character as well! btw, did she found her case ?